Open 9-5 weekdays, 9-5 weekends and holidays. Closed Thanksgiving and Christmas. 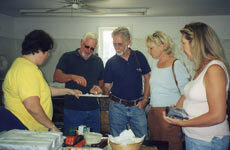 Sample four grades of Pure Vermont maple syrup at the farm and let our family explain the process of making syrup and the difference in the grades. 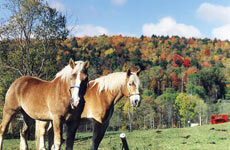 View 4 1/2 minutes of Vermont beauty during the four seasons at Sugarbush Farm. 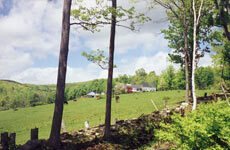 Watch how maple sap is collected and boiled into pure Vermont maple syrup. 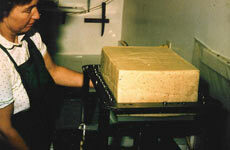 View how our cheeses are hand packaged for safe shipment and travel. Meet the 2nd, 3rd and 4th generation Luce family and make friends with the farm animals. Enjoy personal service while sampling fourteen cheeses including Sharp Cheddar Cheese aged over six years and Original Naturally Smoked Cheese. If you are following the Vermont Cheese Trail this stop will let you sample both cheese and maple syrup all at one farm. 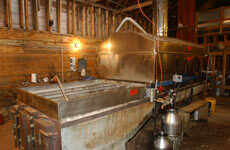 Visit the sugarhouse and learn how maple trees are tapped in the spring and how maple syrup is made. 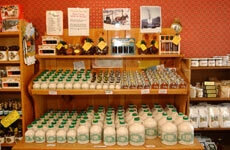 Display is open year round, although the actual maple syrup making season is in March and April. See the work room where we hand wrap and hand wax the cheese, making the cheese suitable to carry or ship home. 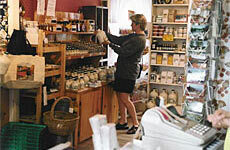 Shop the three room farm house gift shop. Enjoy samples of some of Vermont's best jams, mustards and maple spreads. We can ship your purchases home or to friends and family. Walk on the nature trail to the maple sugar woods. Learn how maple trees are tapped both with buckets and plastic tubing which saves the family sap collection time. 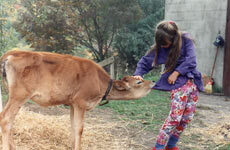 In warmer months kids and adults enjoy making friends with the farm animals which usually include a baby calf, horses, chickens, a rabbit and goats. 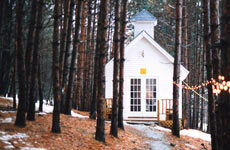 Spend some reflective time in the farm chapel built by Jeff Luce and used for both weddings and personal quiet time. 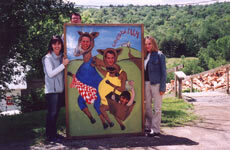 Take a family photo for great memories of your trip to Vermont. Send gift boxes for the holidays to extend those memories. Folks say the fantastic views alone are worth the drive. Picnic area, peace and quiet and room for children to run and play safely. Vehicles over 10 feet tall please call for alternate directions.